I’m linking up today with April from Run The Great Wide Somewhere, Patty from My No-Guilt life and Erika from MCM Mama for their Tuesdays on the run link up party. Today’s topic is 2015 goals update. So, how am I going? Done. Feels like a long time ago now but really did set my year up beautifully. I’d still like to do another one but it’s hard to top running in Maui! There’s a great one in Tasmania in January so perhaps I’ll start my year off with it again! My fastest time was in March this year but I haven’t really been anywhere near it again for a while. This one is still my hardest challenge. My achilles is again being annoying and taking a few days off running feels like forever so I really have to make myself take any longer amount of time. But I’m trying. I did for a while but it resulted in my current bout of achilles annoying-ness. Funnily enough, I’m supposed to be going to a night trail event tonight but am having to pass because of my foot. I have done a few solo trail runs over the last few months and have absolutely loved them. Er, no. I think I’ve managed to lose 1kg since January. But, on the up side, I haven’t put any more weight on! Definitely. I’m up to 16 – 50 club is a long way off yet but I’ll get there! 4 times and another coming up soon. I’m even being brave enough to try new roles – timekeeper up next. I’ve run 4 courses other than my home one and am off to Canberra this weekend so will be trying to do my first interstate run (achilles willing!). Most importantly, ‘run happy’ (as the lovely people at Brooks say) and remember why I run – because it clears my head, makes me smile and makes me an all-round nicer person to be around. Definitely. And this goal is still so much more important than any of the others – so important to remember why I run and not just do it mechanically. I really am a better and happier person for running, which is why I get so frustrated when I can’t! How are your 2015 goals going? Any you want to change or add to? I’ve managed a couple of runs this week but wasn’t impressed as my achilles gave me grief both during and after both runs. It was doing so well during the first half the year but obviously hasn’t coped well as my mileage has built, no matter how slowly. And while I know I need to take a break to let it heal, that thought causes me a huge deal of stress. Running is certainly important for my physical health but a lot more important for my mental health – it’s my stress release & something I look forward to, no matter how tired or how long my day has been. What will I do if I don’t run? In searching for solutions, I’ve dragged my bike out of the garage, cleaned it up and replaced the inner tubes to get back to working order. Despite it not being used for 8 years, it looks to be in ok shape (with just the odd spot of rust here and there – probably as many on the bike as on me!). I used to love riding my bike as a kid but have always hated it as an adult so my hopes aren’t high but I have to remember that I never liked running either and have clearly had a huge attitude change about that. Would love to hear about anyone else who has been reluctantly forced into another sport or leisure pursuit but ended up loving it – I need all the motivation I can get! I’m linking up this week with April from Run The Great Wide Somewhere, Patty from My No-Guilt Life & Erika from MCM Mama and their ‘Tuesdays on the run’ link up. The topic today is running solo vs with a group. It’s interesting that this isn’t a topic that would have even caught my eye a couple of years ago. When I started out on this running adventure, I was definitely a solo runner. While I like fun runs and being surrounded by a few thousand people, my headphones were firmly in and, effectively, I was still running alone. I ran my own race, at my own pace and followed my own rules, without fear of disappointing or holding someone else back. That all changed when I actually found people I liked to run with. 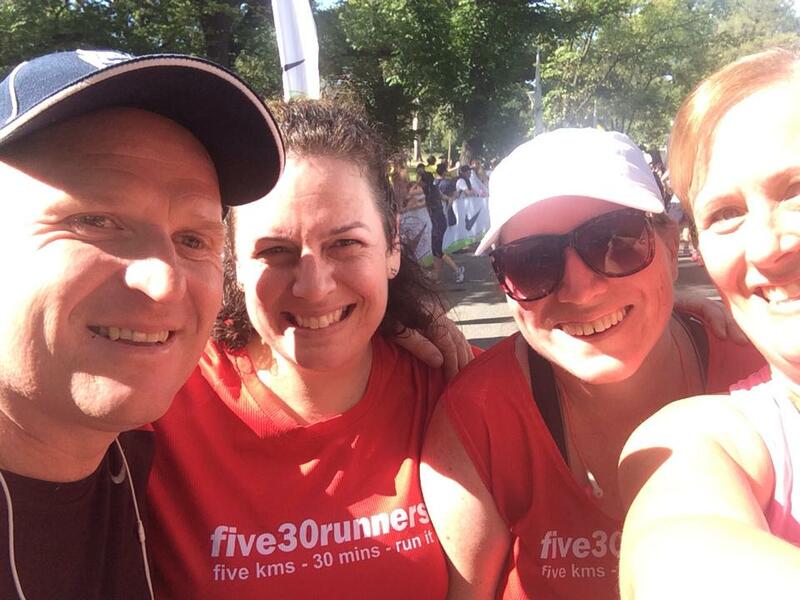 I don’t really have friends who are runners so it wasn’t until I joined a fabulous online running group (five30runners), went to parkrun regularly and started to meet runners who then became friends that my attitude changed. Since that, I’ve loved the opportunities I have to run with (and not merely surrounded by) others. Running with a group is awesome because…. they get it. I can’t stress this one enough – I love my non-running friends but those I run with get the whole running thing without me having to explain (eg, why you would want to hang out in the cold and rain so that you can go and run an 8km race). This doesn’t mean that I don’t still enjoy running alone – my weekday runs tend to be alone are a chance to clear my head, turn off the noises of the world and focus on simple stuff – breathing and moving forward. But my weekends are now often taken up with running with a group of one sort or another and, despite being a generally quite introverted person, I really look forward to those times. Do you prefer to run in a group or solo? I’m clearly determined to fulfil my goal of being a parkrun tourist as many times as possible this year as I’ve been taking advantage of launches to get out there and support the parkrun community. 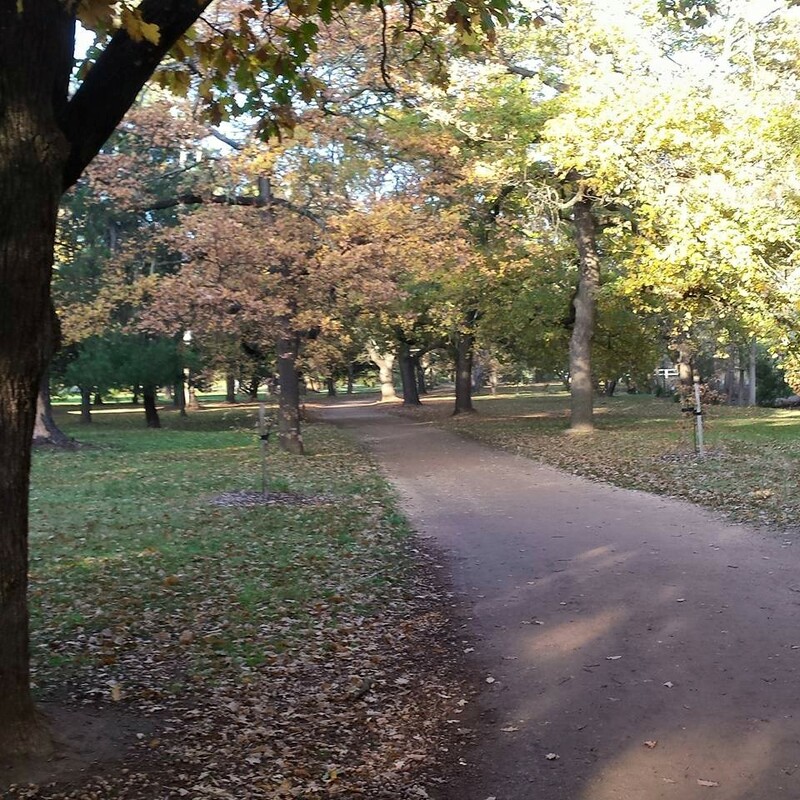 Castlemaine, which launched on 23rd May, has the disadvantage of being a few hours drive away (and required a very early start) but, luckily for me, I wasn’t alone so it turned into a fun roadtrip with new running friend Jo from my local parkrun. After our long drive in the dark, we arrived early so headed off for a quick geocaching find before making our way to the start. It was great to meet up with other familiar faces – those hardy folk who make their way to launches, regardless of the drive involved! As well as all the very friendly locals – it seems like such a connected community who obviously enjoy being together and having fun. The parkrun location is pretty much perfect – in a postcard worthy park, with ample toilets, parking, shelter and play area for the kids. The only downside is that it’s a 3-lap course so, if you’re slow like I am, you may feel discouraged as you watch people finishing and know you still have a lap to go! I don’t know if it was the cold (0 degrees when we arrived at 7.30am) or the 3-lap course but it felt hard and it wasn’t my best run. However the friendly cheers at the finish made up for it. While multi-lap courses aren’t my favourite, I’d definitely go back, just for the fantastic spirit of this event. And, like all good launches, we followed it up with a yummy breakfast afterwards. 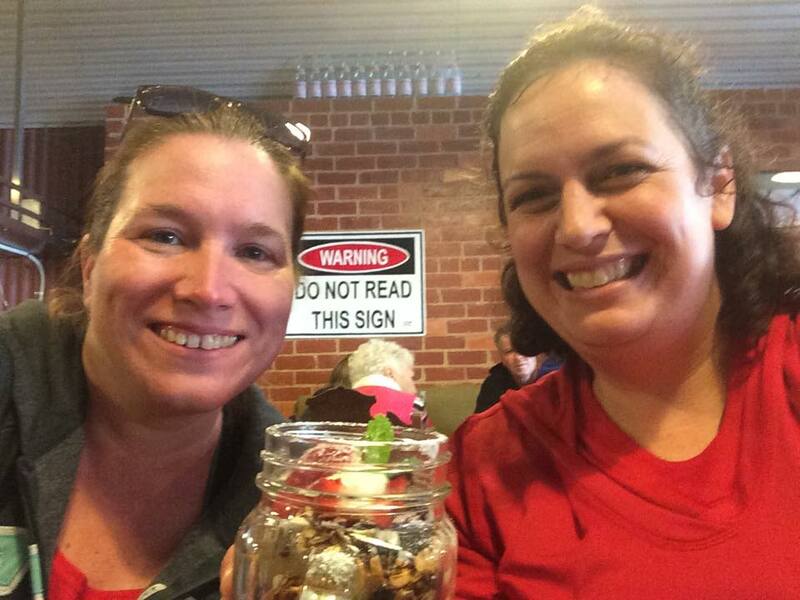 Jo & I enjoying breakfast after an early morning and a chilly 5km!